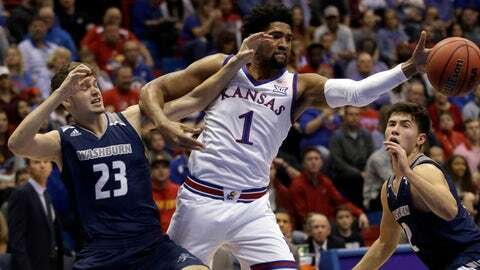 Forward Dedric Lawson, who sat out last season after transferring from Memphis, figures to play a major role for Kansas this year. Perhaps the most notable example is No. 1 Kansas, which added Dedric Lawson and K.J. Lawson from Memphis and also brought in former California guard Charlie Moore. All three players sat out last season due to NCAA transfer rules. Height/Class: Dedric Lawson: 6-foot-9/Jr., K.J. Lawson: 6-foot-8/Soph., Moore: 5-foot-11/Soph.